John Russell Pope (24 April 1874—27 August 1937) was an American architect whose firm is widely known for designing some of the most noted buildings in Washington, DC. Pope had attended the École des Beaux-Arts in Paris in 1896, honing his Beaux-Arts style. After returning to New York in 1900, he worked for a few years in the office of Bruce Price before opening his own practice. 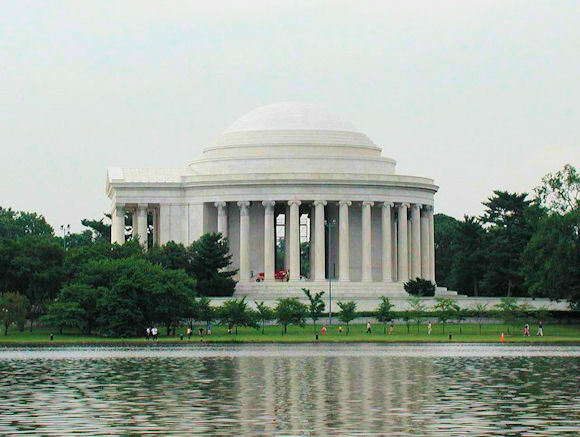 The National Archives and the National Gallery of Art were two of his designs, but his most acclaimed work in the nation's capitol is the Jefferson Memorial. Earlier in his career, however, he was selected to design the most substantial monument on the former battlefields of the American Expeditionary Force—Montfaucon. One of my traveling mates on my recent AEF battlefield tour, Jim O'Donnell, took a strong interest in the monuments of the ABMC and put me on to this. I hope Jim will contribute more information on the members of General Pershing's design team. Nice note. One should also acknowledge the leadership role of Paul Phillipe Cret, who served as the ABMC's supervising architect from ~1923 through most of the 1930s. 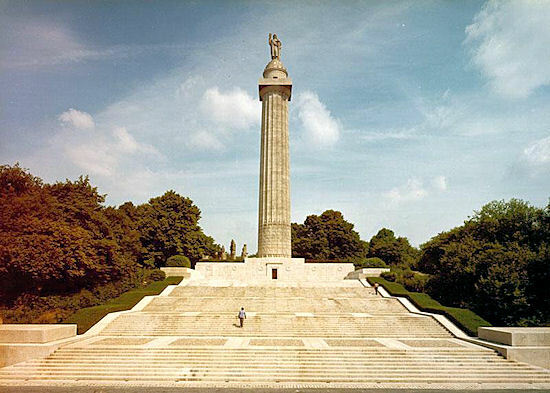 He personally designed many WW1 memorials, including the Pennsylvania Memorial at the Meuse-Argonne Battlefield in Varennes-en-Argonne, France (1927), the Chateau-Thierry American Monument in Aisne, France (1930), the American War Memorial at Gibraltar, and the Flanders Field American Cemetery and Memorial in Waregem, Belgium (1937). I believe his very first WW1 memorial was the Quentin Roosevelt fountain in a farmyard in Chamery, France in 1919/20. Given the connections between the Roosevelt's and Pershing, it is perhaps not surprising that Cret was offered the position on supervising architect by the ABMC. I'm no architect (just a simple infantryman), but I can attest that all of the ABMC monuments I've visited inspire awe.